Today’s #VeteranOfTheDay is Navy Veteran Robert Davis. Robert was born in Dallas, Texas. He joined the Navy in 2004 to follow in his father’s footsteps. He served as a boatswain’s mate aboard the USS Peleliu, LHA-5 until 2008. He deployed in 2006 and 2008 in support of OEF/OIF and in 2007 on the Peleliu Pacific Partnership, a humanitarian mission to the South Pacific. He left the Navy in 2008 and made his way to Washington D.C., to pursue his interests in Veterans advocacy. 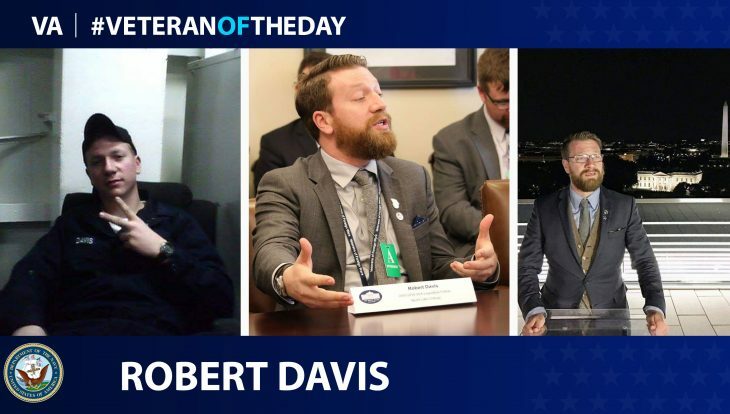 Than you for your service – Navy Veteran Robert Davis.